Another entry for Shoe Week! We at Cyclocross Magazine are running a week-long roundup in our search for shoes well-suited for ‘cross, featuring everything from wicked cheap to ultra-bling. Some we love, others we don’t – and we’ll provide unbiased feedback on the lot. Several members of our staff will write about their experiences and preferences so you’ll hear from a wide (and narrow) variety of feet. 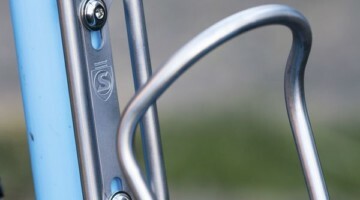 Missed our intro article and Shimano and Specialized mid-range offerings? It’s linked here. Below we feature Mavic’s top model: the Fury. 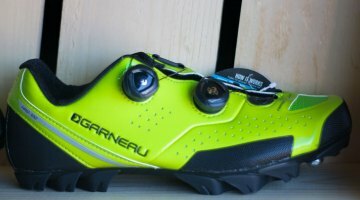 Mavic broke into the footwear market before the 2008-2009 season in a big way, debuting their top-of-the-line Fury mountain bike shoe on some of America’s fastest cyclocross racers, including the likes of then-National Champion Tim Johnson. Mavic’s “new” products, however, were anything but, as they drew from the vast experience of the cycling division of Adidas, which Mavic absorbed and redirected. The number of professionals riding the Fury has steadily grown, which stands as a tribute to their quality. The Fury, which retails for a pricey $299, is designed with one purpose in mind: winning races. The shoe uses two unique closures that combine a Velcro fastening mechanism with elastic bands that provide a snug, yet adaptable fit. Up top, a ratchet closure system allows you to dial in the shoe’s fit to your instep. Mavic employs a good deal of carbon fiber, with a full carbon fiber outsole as well as a carbon heel cup, which is both lighter and stiffer than its plastic counterparts. The heel cup is said to better secure the rider’s heel as well as increase power transfer to the pedals, all big pluses in the power-intensive sport of cyclocross. 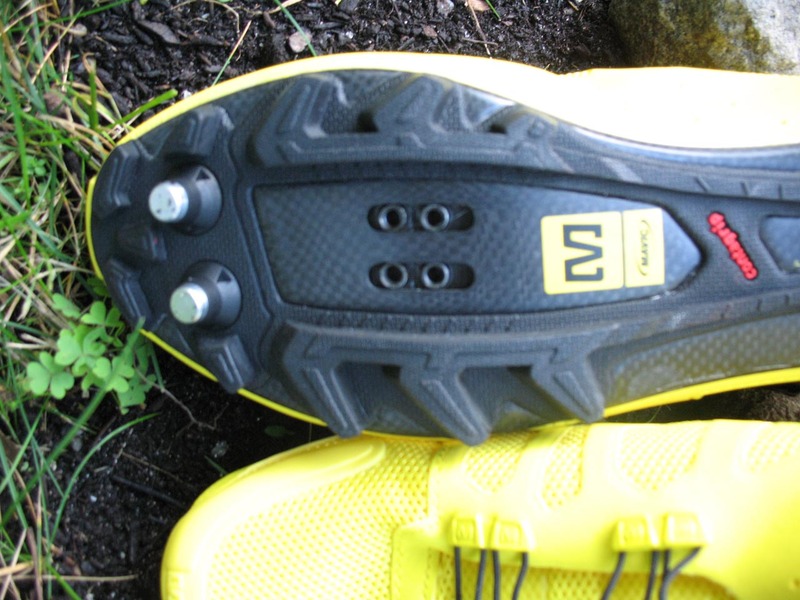 On top of the carbon outsole is Mavic’s proprietary ”Contragrip” compound, shaped into a well-designed tread pattern. 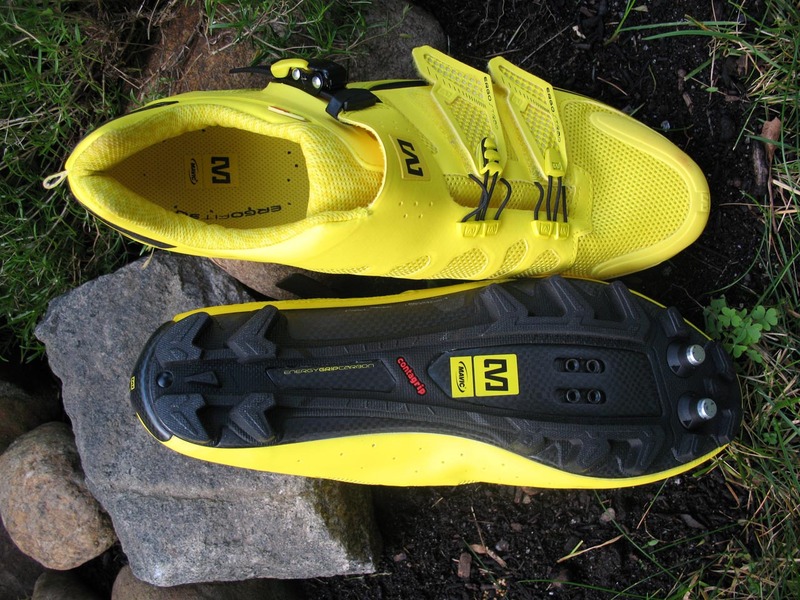 Mavic supplies toe spikes with each pair of shoes for races when grip is at a premium. The upper of the shoe is a light, breathable mesh that makes even the hottest rides easy to deal with. I have to preface my review by saying that my foot is among the more problematic. I wear a size 11 1/2, one of the most common shoe sizes out there, but I have low arches and a wide toe box. To say that the Mavic shoes fit my feet well is a gross understatement. The Mavic Fury fits better than any bike shoes that I have ever put on. Even after upwards of an hour of racing, my feet were the most comfortable part of my body with nary a hotspot. Feet stay cool and dry during the summer months thanks to the fabric upper while the stiff lower ensures no loss of power. 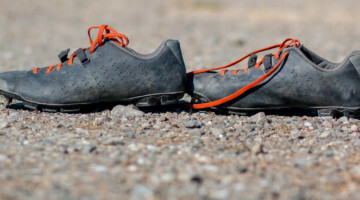 People may be wary of carbon-soled shoes for cyclocross because of carbon’s notorious inability to flex while running. Even in the slickest of terrains, I never felt less than confident while running. There is not a lot of flex coming from the sole, as you may find with plastic-soled shoes, but the tread pattern and toe spikes (which I would suggest always using) make up for it with more than adequate grip. Even running up a hard pack trail with no foot holds, I could use all of my running ability without even thoughts of a slip. Are there any real drawbacks to this shoe? Price could certainly be one, but if your goal is the top step of an elite podium, you’re likely beyond watching your budget. Then there’s the bright yellow color. If you don’t subscribe to the theory that “if it doesn’t match with anything, it matches with everything,” there may be better choices for you. If you really enjoy looking unique and standing out (let’s face it, you do cyclocross for a reason), there’s no shortcoming to the Mavic Fury. 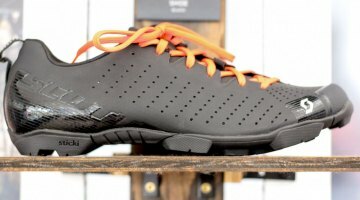 If you’re anything like me and live and die by that code, you can buy the matching set of Mavic Zxellium road shoes, which have all the features of the Fury, minus the treads and toe spikes, in the same wonderful color package. The Mavic Fury’s weigh in at a svelte 676 grams per pair in size 42, equivalent to a US size 9. 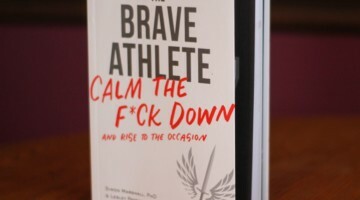 Note that in 2010, the Fury will be available in black for those less adventurous dressers. 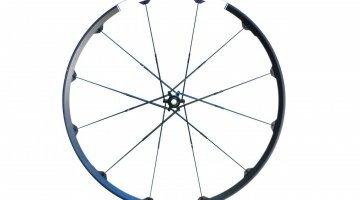 More info on Mavic’s website. For 2010, the Fury comes in black for those who don't want "the look." But who can say no to the bright yellow. The Velcro straps actually offer two positions if you unloop the cord and loop it around the second arrow shaped cord holder thingy, if you find yourself maxed out on the strap.